The organizers of Tuborg GreenFest powered by Rock City have completed the setlist for the first day of the festival. On Friday, June 29, the stage belongs almost entirely to Romanian bands: OldGreen, Luna Amara and Timpuri Noi, followed by Heaven Shall Burn (Germany) and Celelalte Cuvinte. Tuborg GreenFest powered by the Rock The City has prepared a sensational show for the first day of the festival. Along with a number of famous Romanian bands, such as OldGreen, Luna Amara, Timpuri Noi and Celelalte Cuvinte, fans will be able to see Heaven Shall Burn perform. This German quintet was formed in 1996 and gained success in 1998 with the release of the LP In Battle There Is No Law. Heaven Shall Burn won the public in Germany and then conquered the world with their aggressive style of music (thrash metal, metalcore, deathcore and death metal) and lyrics that militate especially against racism and social inequality in general. 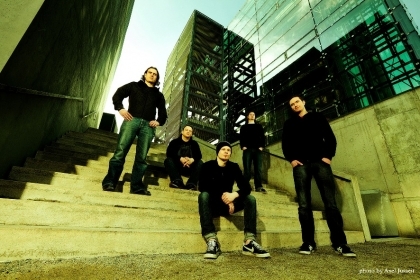 The band's latest studio material is Invictus (Iconoclast III), launched in May 2010, simultaneously in Germany and the United States of America. Tickets for Tuborg GreenFest powered by The Rock City are on sale in Germanos stores, Orange, Vodafone, Domo, www.eventim.ro, Humanitas and Cărtureşti. All information about the festival can be found on its Facebook page, http://www.facebook.com/TuborgGreenfest2012.